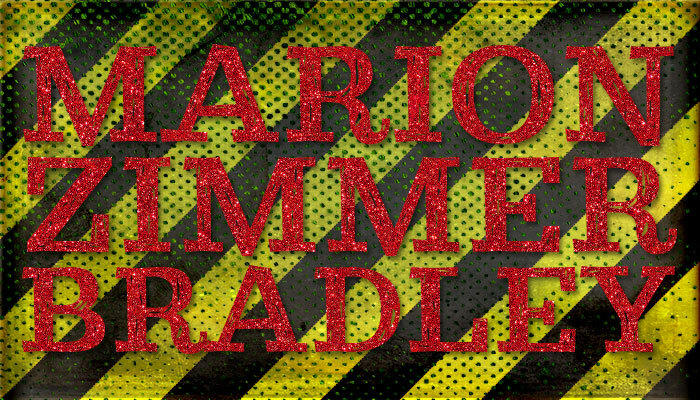 tl;dr: this site broke (in June 2014) the story of Marion Zimmer Bradley’s molestation of her daughter. This is a page linking to all this site’s content on Marion Zimmer Bradley. My interest in this started a in 2011 when Stephen wrote in to be a speaker at Westercon, the western regional science fiction convention. I looked at his site, saw the reference to MZB, and read some (but not all) of the site. I was horrified. His stepson had been molested by Marion Zimmer Bradley’s husband, and the depositions were unreal (though at that point, I’d only read bits of the excerpts). Fast forward to June, 2014, when Tor.com ran a puff piece about Marion Zimmer Bradley. I wrote this response, which went viral. In the comments, someone called me out: surely I was misrepresenting who Ms. Bradley was? Because of the context, I felt that it was best to try to reach both Stephen Goldin, as well as Marion’s daughter, Moira Greyland. We’d had a long conversation exactly once and we’d met in passing a handful of times. She wrote me back, and I remember sitting there, stunned, after reading her short tale of her mother’s abuse of her. Then, after I gathered my wits, I wrote her back. With her permission, I posted Marion Zimmer Bradley: It’s Worse Than I Knew, and later added two pieces of Moira’s poetry written about her experience with her mother. They are horrifyingly difficult subject matter. As a result of this going even more viral, Alison Flood of The Guardian wrote a story. It took a few weeks to get to that point because we were all just exhausted and Moira had an opera to perform. Other posts of mine tagged or categorized with Marion Zimmer Bradley can be found here. This is a mirror of Stephen Goldin’s site about revelations about Marion Zimmer Bradley in the suit over Stephen’s stepson’s molestation by Marion’s husband, Walter Breen.